Get what in and what out, I thought to myself. Was she referring to people or injections? Surely she couldn’t mean the patients. Not these patients, who were facing life changing therapies. So I nodded and smiled then continued just as before. I was a nurse after all and since when had the word reassuring been switched to chatting? The following day I was called into the Sisters office. She was on the phone when I entered, so I gazed out of the window and across the car park. My eyes were drawn to an old campervan, something I had always longed for. Wouldn’t it be wonderful, I thought, to just up and go! No more shifts, no more sadness, no more being told to stop chatting. ‘Sit down!’ the Sister said in a voice that told me this was serious. ‘You are a wonderful nurse!’ she said as my eyes wondered again to the top of the camper, waiting for the ‘but’ to come next. ‘But,’ there it was, so I looked directly at her and waited for the blow, ‘you are a Social Butterfly!’ she said peering at me over her glasses. And she smiled a sickly smile that even I would refuse to wipe up. All the while, I hadn’t said a single word. The old camper across the car park looked more alluring than ever. That is all I could think of! Not rules or regulations. Not ways to save money. Not forgetting to nurse holistically. ‘You have to toughen up if you’re to survive in nursing,’ she kept going on. ‘You will burn yourself out!’ I already had, I thought miserably, and she had started the fire, not the patients. Oh she was right, of course, in a strange sort of way, but not my way. My way would cost the department a lot more time and money. As I walked across the car park, on that late summer’s evening, I noticed the old camper, still sitting there as if waiting for me. It was in perfect condition, considering its age. The pale blue curtains matched the bodywork and then I saw it. 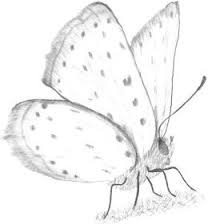 There was a butterfly sticker on the side of the window with the words ‘A butterfly never lands on the hand that grasps it!’ What a coincidence, I thought, remembering what the Sister had called me earlier that day...A Social Butterfly! ‘It’s for sale if you’re interested,’ the voice startled me and I turned to see a handsome man standing there. He looked the clever sort, the sort that is kind and unassuming! So I bought the old camper and married the kind and unassuming man two years later.